Whether it’s your own wedding or your best friend’s ceremony, it’s a big deal to look your best for an occasion as special as a wedding. More often than not, it’s usually the brides or female guests that can spend hours doing their hair and makeup. But today, it’s not just women that are using cosmetics to prep for the big day. 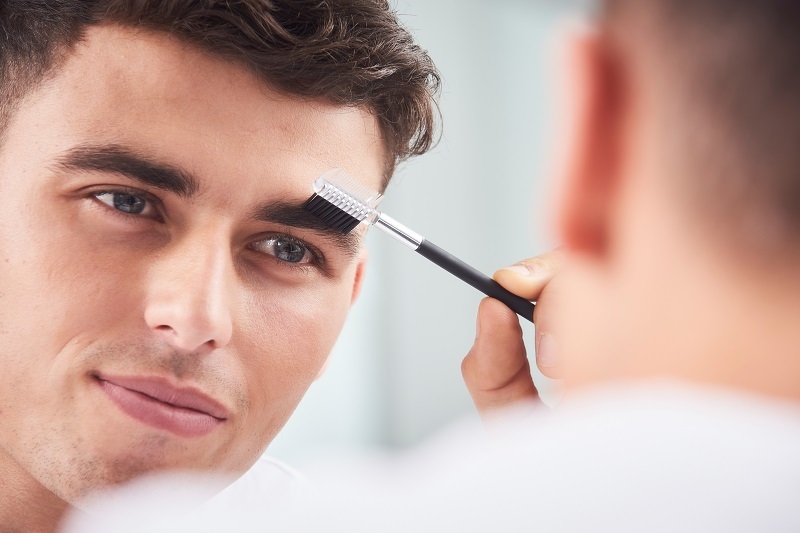 Makeup for men is one of the latest cosmetic crazes sweeping over the beauty industry. It’s becoming the new norm for men to wear male makeup for not only special occasions, but also for everyday use before going to work or preparing for a date. If you’re planning on attending a wedding soon, you can actually help your partner prepare for the big day with male makeup too. Although you can buy cosmetics in almost any department store or pharmacy, there are actually a few shops that exclusively sell makeup for men, like Differio.com. The advantage to buying specifically men’s makeup from menswear stores, like Differio, is that you’ll always find tools specifically catered to your man’s needs. Due to their masculine features, it’s easier to achieve a certain look, like fixing a patchy beard, with men’s cosmetics that aren’t available in mainstream beauty departments. Here’s how you can help your fiancé or boyfriend look his best with easy tips and tricks on applying makeup for men. These easy-to-learn techniques are quick fixes for common concerns he might have that’ll still keep him looking natural. Bags and dark circles are common culprits that can make anyone look tired and aged, even if you use under-eye cream. In order to combat this, you can easily conceal the look of tired eyes with under-eye concealer for men. After dabbing on concealer stick for men to hide dark circles or puffiness, you can use a lash curler to curl his lashes. This will widen his eyes making him appear more awake and vigilant. Even if your partner doesn’t suffer from severe acne, you can’t predict when one of those random pimples will show up. All it takes is one pimple to make a complexion appear textured and flawed. To achieve the look of smooth skin, he can apply a thin layer or BB cream or foundation for men followed by a dab of concealer for men to spot conceal darker blemishes. Although makeup for men has plenty of instant benefits, he can also prepare his skin the night before to really boost his features. One of the most hyped-up routines right now in men’s skincare is face masks for men. By simply applying a brightening or moisturizing face mask for men the night before, his skin will be perfectly primed and moisturized allowing male makeup products to settle naturally on his skin. It’s pretty common for some men to grow a patchy or fine beard, but this is actually an easy fix with makeup for men! To achieve the look of a fuller beard, all you need is a brow corrector pencil or beard filler pen. Both of these men’s beauty products are designed to make facial hair look fuller. Plus, you get two uses out of one product. Simply swipe the beard pencil onto patchy areas in soft, hairlike strokes to imitate the appear of a fuller beard. Dry, pale lips can easily bring down your complexion, making it look dull and aged. Of course, you want to look young and bright on your wedding day, right? If your partner’s lips are looking drab, you can actually use lip makeup for men, like men’s lip tint or lipstick, to brighten his pout. In order to achieve the most natural effect, avoiding swiping it on the lips like normal lip balm. Instead, just apply a couple dabs for a healthy, just-bitten flush.